Did you know, the average person will buy a new kitchen every ten years? When you make the commitment to invest in a new kitchen for your home, it’s important you thoroughly plan and choose something that will withstand the test of time. 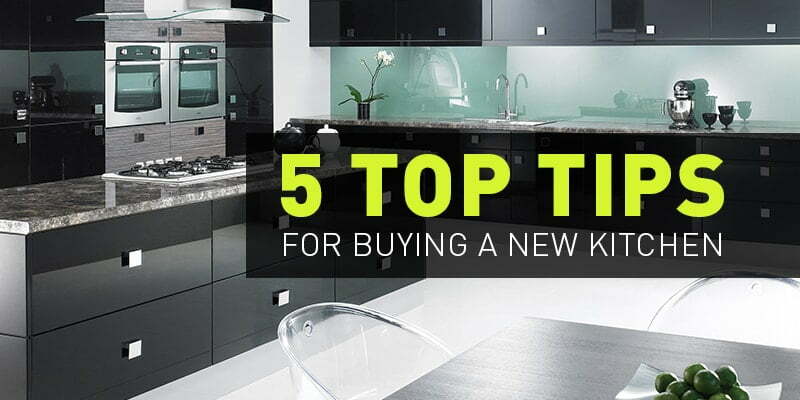 One of the first things to do is decide how much you’re willing to spend on your new kitchen. Be aware of any structural/layout changes that you may want to make and the types of materials you want to use for your new kitchen, including cabinets, worktops and appliances etc. You can then use this as a starting point for your budget. There’s no point dreaming of a stylish island if your home doesn’t have the space for one. Be realistic about the attributes for your new kitchen and research different themes to find the style you like best. For example, if you have small children, a gloss kitchen would be perfect as it not only looks amazing but it’s also easy to clean. Once you have some initial ideas, visit a kitchen showroom to help you visualise how your new project could look. The designers at Direct Kitchens have an extensive knowledge about the materials and appliances available, and can help bring your dream kitchen to life. Your visit to a kitchen showroom should have given you a wealth of inspiration for your new home. From this, you can get an understanding of the colours, cabinets and worktops you like and get an initial design. Direct Kitchens offer a free planning and design service where we will measure your existing kitchen and design your new one using a 3D system that shows you exactly how your new room could look. The final step before you commit to buy is to make sure you’re 100% happy with the design and layout. If there’s a material you are unsure about, wait until you find something else you’re certain on. Our designers won’t push you into making any hasty decisions and will guide you the best we can. If you’re in the market for a new kitchen, get in touch with Direct Kitchens today for a free, no obligation quote! Click here or call us on 01142 400 158.